I have the joy of attending a baby shower this month for the daughter of my friend Kim. 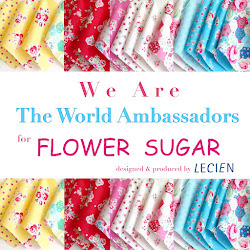 As many of you crafters/sewers know, it's almost impossible not to make a gift. I have really tried before to just buy something new, but I always manage to sneak it in to my busy schedule. I can't help it! 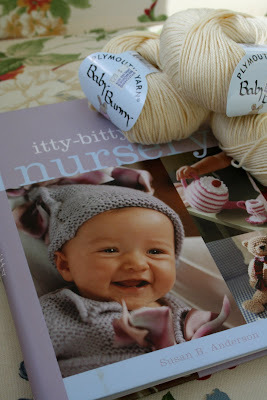 Some of my favorite projects came from left over yarn. These sweet treats came from extra yarn and knit up in no time. I have them out where I can enjoy them every day. 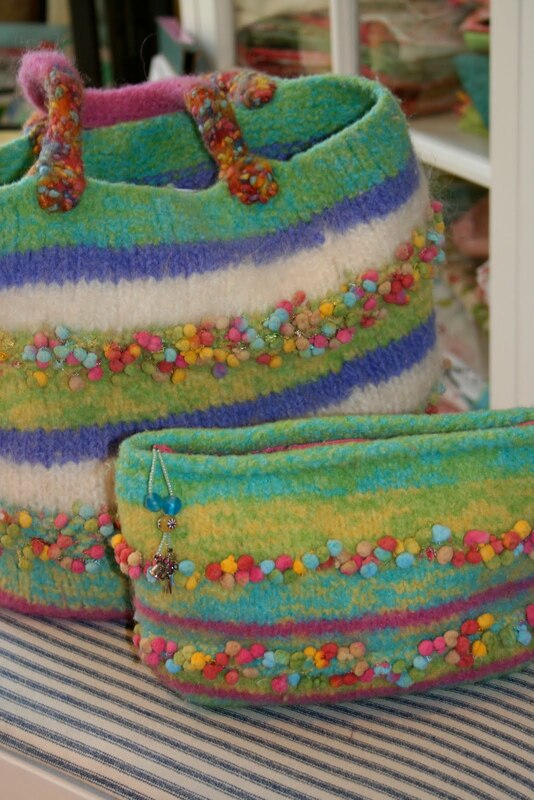 My yarn bag and zipper pouch cam from many balls of left over wool from felting projects. My daughter made the little pull for the zipper. Before I can knit today I have to tackle this room. I always seem to let my sewing room get like this and then I'm incapacitated creatively until I clean it. Every two weeks or so it looks like this. I'm certain the rest of you keep your creative spaces much neater than mine! And the back room all tidy Renee...........what a lovely cakes you make !!! And nice a babyshower.......i realy like that !! those little cupcakes are just adorable. we just can't help making something. i never make anything. such a klutz. i cant do none of that! 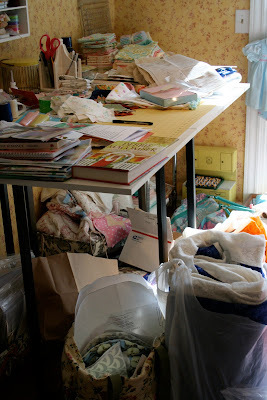 My craft/art, and sewing areas get really messy!!! It does help the creative process to have a clean area to work in! Oh goodness no! I can't create without spreading every piece of fabric and trim I own everywhere! I love the bag and zipper pouch, all the gorgeous colors and that sweet nubbly trim:>) So pretty! LOVE your crafting room... Mine looks the same. ;) Your cutie cupcakes are GREAT... and in the past past posts I am in LOVE with your vintage sheet finds! my favorite baby gifts when I had my kids were the hand made ones. I actually kept most of them in my keepsake box. I'm sure Kim's daughter will love what you make her!